As the hush of the evening settled down on campus on Friday, Sept. 11, a group of students ramped up to make their voices heard. Several expressive paintings close in the steps of the Campanile as even the familiar spray of the fountain is absent. Tonight is the night Danielle Mathis, a third-year IE, has been waiting for. 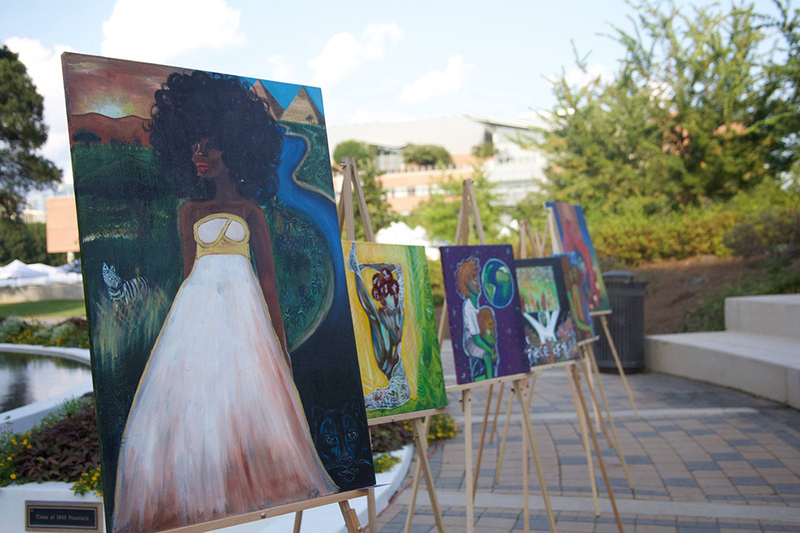 This event involved music, spoken word, dance and artwork from a handful of talented students and friends with the hope of bringing awareness of current social justice issues to campus. Along with promoting social justice, Mathis wanted to showcase art at Tech. Fourth-year MSE, Aaron Jordan performed three songs at the concert, two with his brother and a solo piece a cappella. Two of his performances focused on the death of twelve year old Tamir Rice at the hands of Cleveland Police. Raianna Brown is a third year Industrial Engineering major also enrolled at Emory as a Dance major. She performed a dance titled “Tie My Hands”. Moving forward, Mathis wants to make this an annual event. She is eager to launch her own initiative and even start her own company that coincides with her passions. She keeps up with her own music endeavors on SoundCloud and is part of an inspirational outlet that will start this weekend called Caterpillar’s Promise.